174kg·m of torque from the 10 liter in-line 6 cylinder engine. 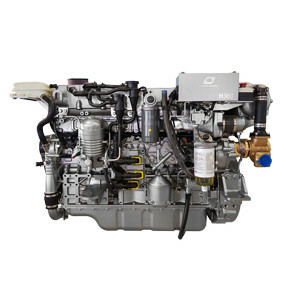 Economy is assured by the state-of-the-art fuel management system featuring Electronic Unit Injectors(EUI). The electronic engine control system makes the engine lighter, quieter and more fuel efficient with excellent compact dimensions. 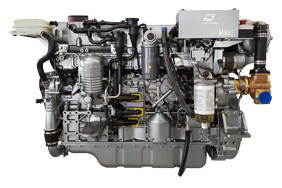 The unique one-piece CGI (Compacted Graphite Iron) cylinder head makes the engine lighter and quieter than conventional heads for more comfort onboard. Plus, longevity is assured with close to double the fatigue life of aluminum. • Gallary oil-cooled long lasting mono steel pistons.